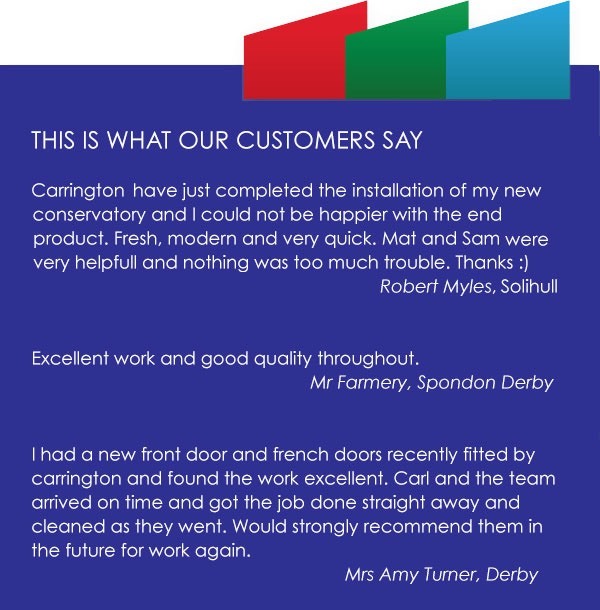 Carrington Windows, with over 35 years of experience installing quality uPVC Windows, doors and conservatories throughout Derby, Leicester and Nottingham with many customers raving about the customer service experience, Carrington Windows is a company that cares. We care about the quality of our products, our workmanship, our installation and, foremost, our customers — sustaining a well-earned reputation by offering the highest levels of service year after year. 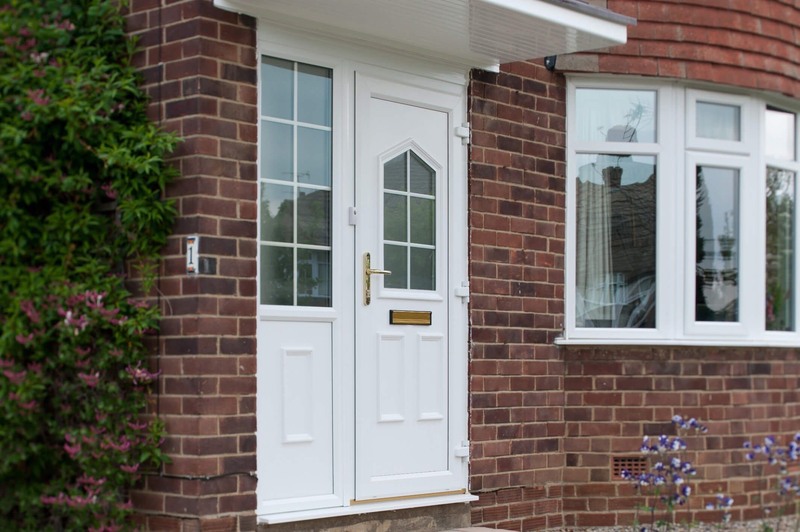 We believe in getting to know our customers’ requirements and tailoring those requirements to a range of bespoke solutions, from upvc windows, doors, porches, conservatories and fascia, soffits & guttering. 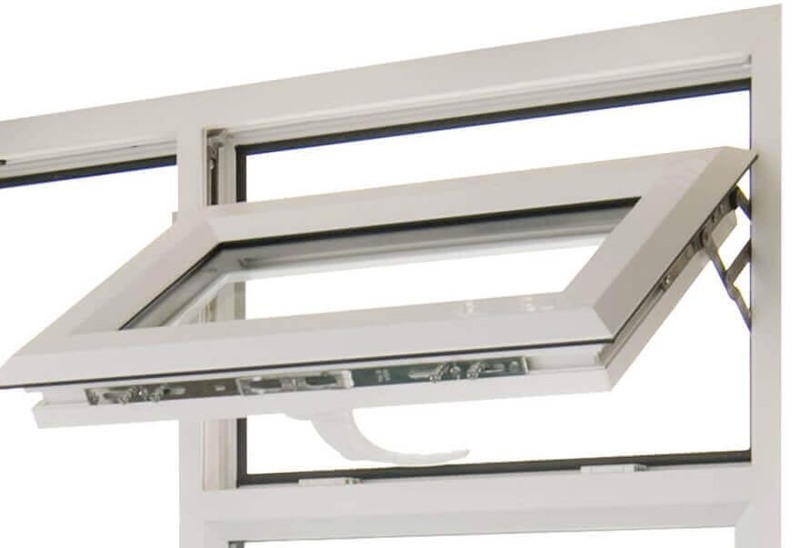 We have introduced a great range of money saving home improvement solutions such as "Revive your windows" saving upto 80% on replacement upvc window costs, and self cleaning wall coating, that looks like new for many years. We understand that home improvements represent a major investment and can be stressful, our goal is to get you what you want, how you want it and when you want it all at a fair price with the minimum of hassle. To find out more, visit our local showroom or book a free home improvements survey and one of our friendly team will discuss the best options for you and your family. We are Carrington Windows and we are proud to have the best name in local home improvements. 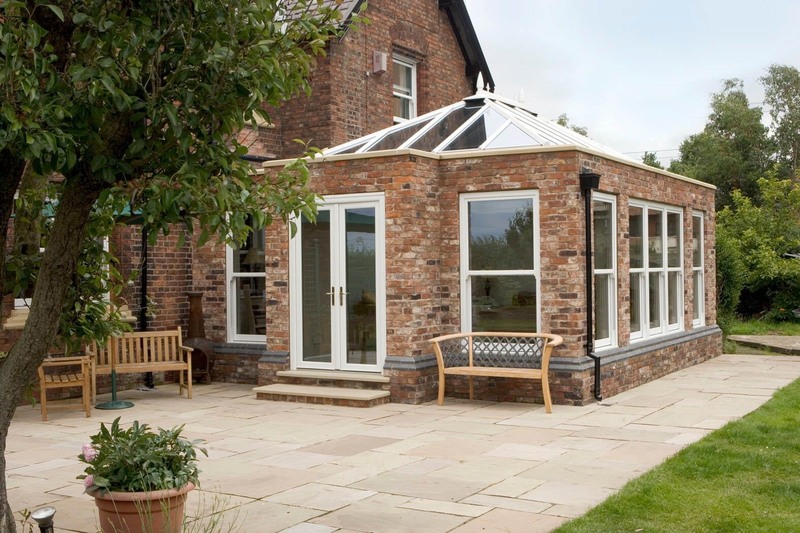 Carrington Windows have been improving homes across the Midlands, using quality products and craftsmen. We are renowned for the high quality of of the windows, doors and conservatories supplied and installed by Carrington Windows. We come highly recommended by our customers, with some great reviews and customer testimonials, GUARANTEED HAPPINESS, we are proud of the personal service we offer to each customer and encourage our customers to have their say on Social Media, on this web site or in person at our Ascot Drive Customer Showroom. Dealing only with the best quality products, exceptionally skilled and experienced fitters, Carrington Glass ensure a beautiful finished look for your home and a robust, secure, weatherproof and energy efficient glazing solution.